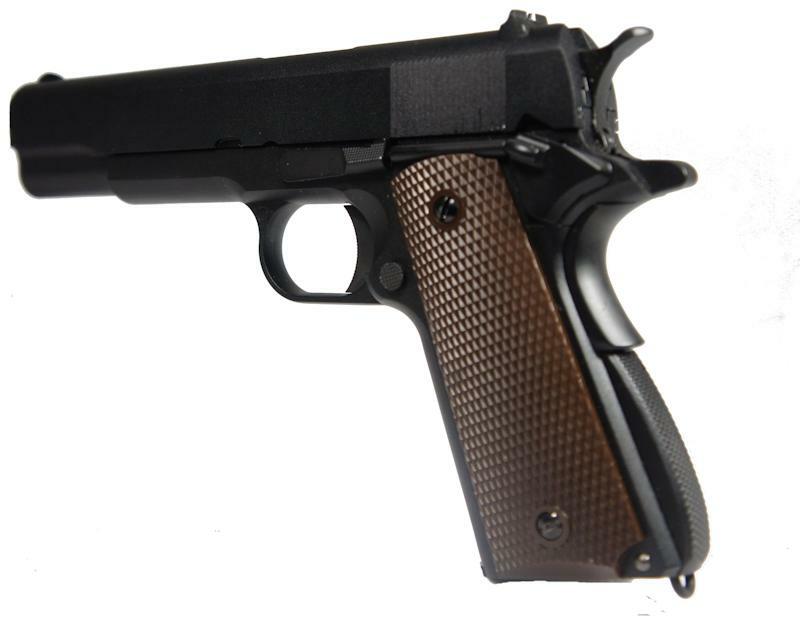 This Airsoft pistol comes with metal slide and lower frame.It is a blow back gas action pistol with a good standard grip and safety mode makes it safe to operate .The metal parts are the outer barrel, recoil spring rod chamber, slide safety slide stop, hammer, and trigger. The internal upgrade parts include reinforced recoil spring, hammer spring and firing pin. 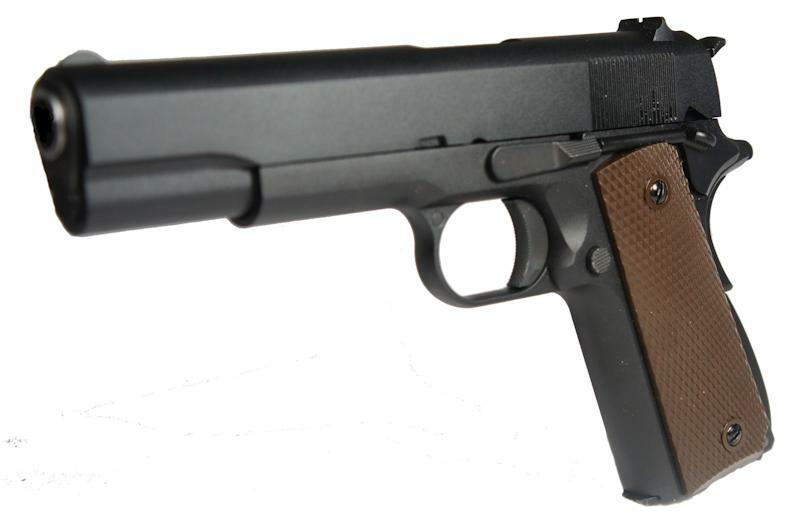 This is a high velocity gun and very popular with Airsoft players due to its original look and cult status. 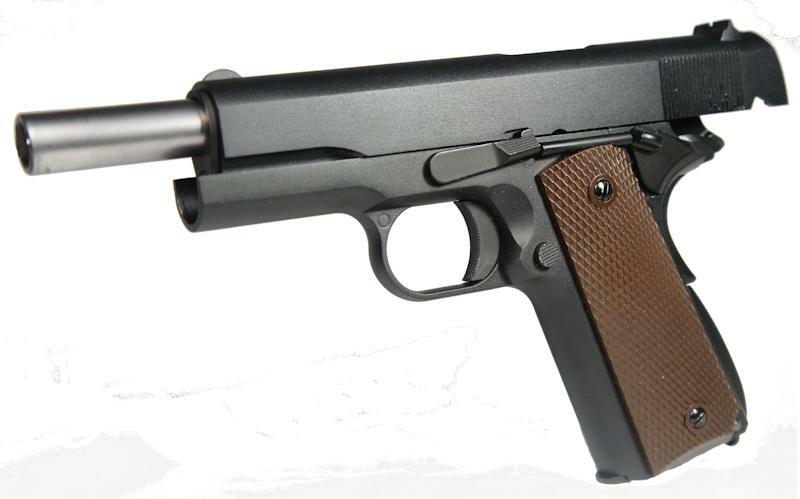 First introduced in 1911 as a single action semi- automatic side arm. 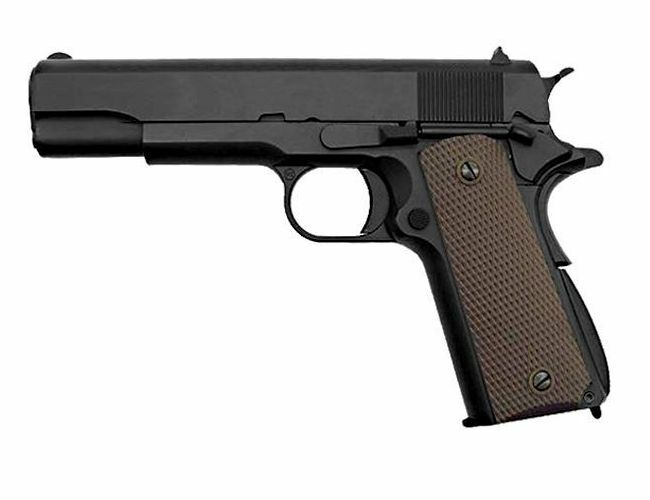 It was in use from 1911 to 1986 and used a .45 calibre bullet.It is still in use today by some special forces and units of the Marine Corp. This is a Gas Blow Back.•Muzzle Velocity: 300 to 320fps. •In box: gun, magazine, and manual. •Grip Safety with unique handle.